In search for security in the face of India’s belligerence and dangerous designs together with Afghanistan’s hostility, Pakistan blundered to join SEATO and CENTO in 1954 and earned the hostility of Afghanistan, former Soviet Union and China. India took these western pacts as an excuse to make a U turn on Kashmir issue. The defense pacts helped Pakistan under Ayub Khan to develop its economy and defensive capability, but the pacts were designed to contain communism and not to provide security against India or to help in resolving Kashmir dispute. These pacts proved inconsequential during the wars with India in 1965 and 1971 and played no role in preventing truncation of Pakistan in 1971. Supply of arms by the US and western countries to India after the Indo-Sino border clash in 1962 impelled Pakistan to lean on China since arms provided by the two rival camps had tilted the military balance in favor of India. This shift irked USA. Pakistan again blundered to let the US make FATA a launching pad and use Jihadis as proxies to fight Soviet forces in Afghanistan in 1980s in return for $3.5 billion economic/military assistance spread over 5 years. Although the Jihad directed by the ISI achieved its goal of ousting the Soviets from Afghanistan, but Pakistan had to suffer at the hands of nexus as well as that of Al-Zulfiqar throughout the 10-year war. The Afghan Jihad gifted Pakistan with drug and Kalashnikov cultures which militarized the society and intensified sectarianism. It also bred misgivings in Pak-Iran relations. Instead of rewarding Pakistan for the huge price it paid to defeat a super power and for paving the way for the US to become sole super power, it was not only left high and dry by self-serving USA but also punished for pursuing nuclear program, which it had ignored till 1989, by imposing harsh sanctions in 1990. Worst was Indo-US embrace in 1991 followed by Indo-Israel alignment, giving shape to Indo-US-Israel axis, which raised the specter of Islamic bomb. Sanctions under Jewish AIPAC inspired Pressler Amendment weakened Pakistan’s economy, multiplied its debt, impacted the democratic era (1988-1999) and handicapped Pakistan to combat fallout effects of Afghan war. The only positive outcome of the bloody war was the completion of nuclear program under Gen Ziaul Haq, which was otherwise not possible. It raised the stature of Pakistan among the Muslim world. Fear of bomb in the basement prevented India under Rajiv Gandhi from converting Indian Exercise Brass-tacks into full-fledged war in 1986/87. Likewise, war over Kashmir in 1990/91 in the wake of armed uprising in Indian occupied Kashmir was also averted due to nuclear factor. Benazir rather than fulfilling American agenda of rolling back nuclear program enhanced missile program. In the First Gulf War in 1991, while Egypt got its $7 billion external debt waived off without deploying a single soldier, as a reward for legitimizing the US-NATO intervention in the Gulf, Pakistan got nothing despite deploying over 10,000 troops in Saudi Arabia because of the then Army chief’s pro-Saddam statements which annoyed Saudi Arabia and USA. 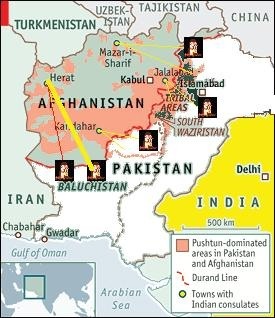 Pakistan’s support to the Taliban from 1996 till September 2001 antagonized Northern Alliance (an amalgam of non-Pashtun Afghans under Ahmad Shah Masood) and brought them under the influence of Iran, India, West and Russia. Pakistan once again blundered after 9/11 by ditching friendly regime of Taliban in Afghanistan at the behest of Washington and befriending untrustworthy USA that had left Pakistan in a lurch during its testing times. Pakistan learnt no lesson from the repeated betrayals and happily accepted all the demands of USA under the fond hope that this time it will not deceive and will compensate for its past wrongs by making Pakistan prosperous in return for fighting the US imposed war on terror on its soil. But the US had a fixed agenda of disabling Pakistan’s nuclear program covertly, separating Baluchistan and making Pakistan a secular state. Gen Musharraf and not Pakistan was made the darling of the west. Pakistan after earning the animosity of Taliban on account of its full support to the US to occupy Afghanistan also antagonized the tribesmen of FATA when the Army launched an operation in South Waziristan (SW) in 2003 at the bidding of USA to flush-out Al-Qaeda and its supporters. Pakistani Taliban started a guerrilla war against the Army and in December 2007 formed Tehrik-Taliban-Pakistan (TTP) under Baitullah Mehsud with tentacles in all the seven agencies of FATA. The Afghan Taliban and Pakistani Taliban believing in one ideology are in collusion and pursue shared goal of establishing Islamic Emirate. The two entities had however divided their areas of responsibility; Taliban confining their fight in Afghanistan against occupying forces and their collaborators and the TTP fighting against Pak security forces. Their partner Al-Qaeda remained operative on both sides of the divide. Haqqani network aligned with Taliban headquartered itself in North Waziristan (NW) and remained friendly toward Pakistan till their ouster in June 2014. The TTP was hijacked by foreign agencies in its formative years and was heavily funded, equipped and trained to fight Pak Army and to convert Swat, Bajaur, SW and NW into fortresses. Annoyed by Musharraf regime’s decision to impose ban and freeze funds in 2002/03, Kashmir focused Jihadi groups and other militant groups veered towards TTP. By 2013, an amalgam of over 60 militant groups had come under the wings of Hakimullah led TTP in NW. TTP leaders had pledged allegiance to Taliban supreme leader Mulla Omar in 2008 and had accepted him as Ameerul Momineen. Their pledge remained intact till mid 2014 after which many pledged allegiance to ISIS leader Abu Bakar Baghdadi since they had got a wind of death of Mulla Omar in April 2013 which was intentionally kept secret. Syria-Iraq based ISIS has made inroads in Afghanistan with the help of India and has established itself at Nangarhar and is in collusion with Khalid Omer Khurasani led Jamaat-e-Ahrar, an offshoot of TTP and with Fazlullah. The two had fled from Mohmand Agency and Swat to Afghanistan after the military operation Rah-e-Rast in 2009. Fazlullah was nominated Ameer of TTP after the death of Hakimullah in early 2014. Operation Zarb e Azb launched in June 2014 succeeded in pushing out all militant groups including HN from their last stronghold in NW. All the runaway TTP leaders and fighters have been given sanctuaries by NDS and RAW at Nuristan, Kunar and Nangarhar from where they are undertaking cross border terrorism inside Pakistan. HN is fighting its war from eastern Afghanistan, its traditional stronghold. The US, India, Afghanistan, Israel, NATO strategic partners based in Kabul since November 2001 have been constantly weaving plans and conspiracies to harm Pakistan. They have been fueling terrorism in Pakistan with the help of their paid proxies in FATA, Baluchistan and Karachi and at the same time pressing Pakistan to do more. Unable to stabilize Afghanistan after fighting the Taliban and al-Qaeda for 15 years, both Kabul and Washington are blaming Pakistan for its failures. The duo wants Pakistan to fight elements of Afghan Taliban and HN, supposedly in FATA and Baluchistan, and to force them to lay down arms and sign their drafted agreement. Field commanders of Taliban movement disfavor peace talks since they have suffered the most. After forcing USA to pullout bulk of ISAF troops in December 2014, they have gained a definite edge over the ANSF supported by a small US-NATO force and initiative is in their hands. 29 districts are in their full control and 34 districts are being contested. They don’t want to come to terms with collaborators who have plunged the country into the vortex of vices which they had eliminated during their 5-year rule. They don’t want an agreement on dictated terms and without meeting their basic demands. The Taliban and HN feel that Pakistan is once again siding with their opponents to undermine their sacrifices. In its bid to please the US and unpopular unity government in Kabul, Pakistan is fast losing whatever goodwill Taliban have for it. India has successfully brainwashed all segments of Afghan society and poisoned their minds against Pakistan. There is widespread hatred against Pakistan both at government and people to people levels. Destabilized Afghanistan suit USA and India since it enables both to retain their presence and continue with their covert operations. After China, Russia has begun to slowly make inroads into Afghanistan. Its entry in Afghan affairs is likely to change the dynamics of Afghan imbroglio. 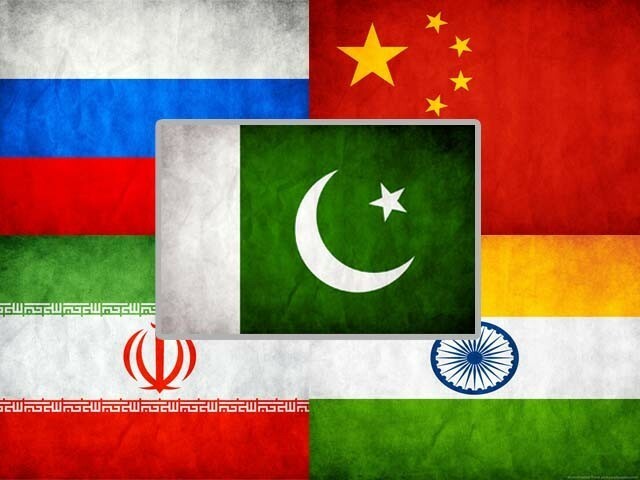 The newly emerging politico-economic axis of Russia-China-Central Asian Republics-Pakistan which is drawing strength from CPEC is likely to grow stronger if Iran and Turkey, both resentful of USA joins it. There are reports that Russia is supplying arms to the Taliban to tackle the threat from the ISIS, aspiring to establish Khurasan State. Russia is also pleading the Taliban case in the UN for taking off their names from the blacklist. The Taliban have exuded confidence in the Russia-China-Pakistan grouping to pursue peace in Afghanistan. Supply of arms to the Taliban by Russia is worrisome for Kabul and Washington. After all, Moscow has not forgotten and forgiven the perverse role of USA in its fragmentation. Provision of stingers to the Mujahidin in 1988 had forced the Soviets to hasten their exit from Afghanistan. To avenge its humiliation, Russia may be aspiring to make Afghanistan a graveyard of USA. This wish is achievable if it supplies surface to air missiles to the Taliban, enabling them to contest the airpower. If so, it will make the position of 12000 strong Resolute Support Group based in five military bases tenuous. Pakistani leaders have been dancing to the tunes of America, myopically thinking that by abiding to its dictates, Pakistan will remain safe and so will be their power and wealth. Lure of dollars and fear of USA were other factors which made the weak-kneed and morally corrupt rulers to stick to their policy of appeasement. They made no change in this self-defeating policy despite suffering colossal human and financial losses. While the US has spent $1.7 trillion in Iraq war, and over $1 trillion in war in Afghanistan including $104.1 billion in its reconstruction, it grieves over $20 billion given to Pakistan in the last 15 years, 50% of which is CSF (close support fund – repayment of provisions and services provided by Pakistan). As against this meagre assistance, Pakistan has incurred an economic loss of $118 billion in fighting the war and has also suffered 60,000 fatalities. 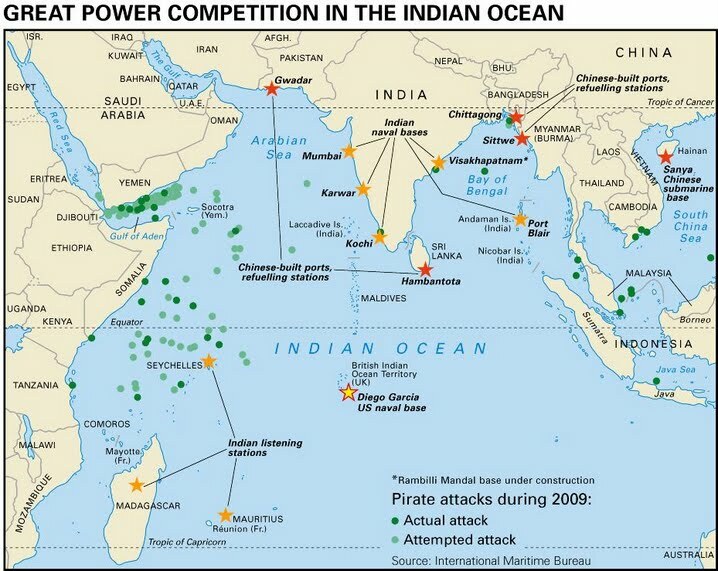 Excessive tilt of USA towards India as exhibited by Indo-US economic, defence and civil nuclear deals, revelations made by Raymond Davis in January 2011 about American dangerous agenda, stealth raid in Abbottabad in May 2011 followed by Memo scandal in October and deadly assault on Salala in November that year, do more mantra, condition based aid and stoppage of CSF brought no change in Pakistan’s US centric foreign policy. India’s open ended belligerence when seen in context with ever growing Indo-US collaboration culminating into 3 military agreements in 2016 and the US outright biased stance against Pakistan having a direct bearing on security of Pakistan forced our policy makers to lean more heavily upon China and to get closer to Russia. Tiding over energy crisis, righting economic indicators, curbing terrorism and above all CPEC have helped in improving the overall economic health and image of Pakistan and instilled confidence in the rulers to confront internal and external challenges more confidently. However, the US enchantment that was at the verge of fizzling out has been reinvigorated by Donald Trump’s telephonic chat with Nawaz Sharif. He showered heaps of praises upon him and Pakistan, referring him as a terrific guy, rating Pakistanis among the most intelligent people, amazing and exceptional. These accolades coming from the most freakish and bigoted US President astounded all and sundry. Anti-Nawaz and anti-Pakistan elements were expecting a roughshod treatment from loudmouthed Trump. His unexpected tributes and exclusion of Pakistan from the banned Muslim States has made Nawaz and his team rapturous and they are still in a state of ecstasy. Idea of getting out of the US spell has been shelved. While the Muslim world is tense and scared, Pak leadership is relaxed and appears to be all set to once again get duped and fall into the deceptive trap and get bled. They are optimistic that the US under Trump will not betray Pakistan and will be more friendly and cooperative in addressing socio-economic and security concerns. This confidence has been further bolstered by friendly chat of Gen Qamar Javed Bajwa with US Secretary Defence Mattis and US Commander in Afghanistan Gen John Nicholson, both admiring Pakistan’s sacrifices and role in war on terror and wanting a holistic review of Pak-US relations. The challenges faced by Pakistan are however far from over. Up to 80% success has been achieved against terrorism which had become an existential threat to the existence of Pakistan. The current government deserve credit for giving a go-ahead to intelligence driven operations in NW, Baluchistan and Karachi, and the national action plan. However, the Army, Rangers, FC and ISI deserve special applause for achieving spectacular results in all the three troubled regions. 100% results couldn’t be achieved due to safe havens provided to the runaways of TTP in Afghanistan, backing to BLA, BRA and BLF in Baluchistan by foreign agencies, and obstacles created by Sindh administration in Karachi. All random acts of terror in Pakistan emanate from Afghanistan. On the economic front, notwithstanding upturned macro-economic indicators, bullish stock exchange, healthy foreign exchange reserves and fast-paced development works, constantly increasing debt burden is a matter of anxiety. Not so satisfactory progress on 20-point NAP needs acceleration. Management of western border by Pakistan is not to the liking of Kabul and India since it will curtail cross border terrorism. This process as well as return of Afghan refugees, rehabilitation of displaced persons and FATA reforms must continue without any letup. Likewise Rangers operation in Karachi must reach its logical end at the earliest. Success in war on terror, economic turnaround, CPEC, and Russian support have defeated India’s plan to isolate Pakistan and to get it declared a terrorist state. Although Pakistan today stands on a stronger wicket, agenda of Indo-Afghan-US nexus against Pakistan remain unchanged. Till 2008, Russia was anti-Pakistan and pro-India. Change in regional dynamics has brought a thaw in Pak-Russia relations and the latter is now keen to develop stronger economic and defence ties with Pakistan. Russia is mindful of the Afghanistan based Daesh and wants Pakistan’s cooperation to build a firewall against the emerging threat. For this reason, Russia is taking deep interest in Afghan affairs and has cultivated ties with Taliban much to the chagrin of Kabul regime and Washington. Russo-China-Pakistan grouping aimed at restoring peace in Afghanistan and CPEC has once again enhanced the importance of Pakistan. Friendly regime in Kabul is a geostrategic necessity for Pakistan. Pakistan policy makers will have to play their cards shrewdly and configure the foreign policy best suited to guard Pakistan’s national interests. While keeping USA and EU in good humor and engaged in mutually beneficial economic/military cooperation, but without compromising core interests and dignity, efforts should be made to further expand economic/military cooperation with Russia, draw it towards CPEC and to make Pakistan member of Eurasian Economic Union. Besides veering Iran into CPEC, Gwadar port should augment Chahbahar port. Land, air, maritime and internal security must be strengthened to ward off external threats and treacherous designs. 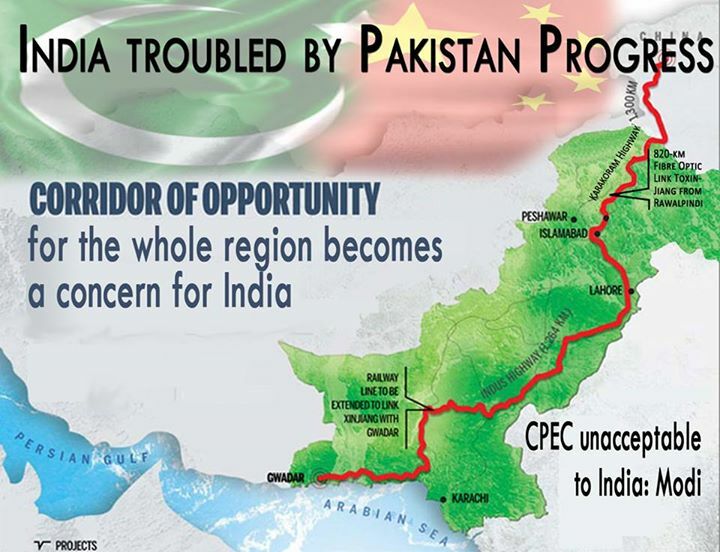 Focus should be on getting rid of foreign crutches and instead strengthening own economic legs by drawing full benefits from the emerging opportunities provided by CPEC so as to make Pakistan politically, economically and militarily self-reliant. The writer is retired Brig, war veteran, defense analyst, columnist, author of five books, Vice Chairman Thinkers Forum Pakistan, DG Measac Research Centre. asifharoonraja.gmail. Pakistan is located at a region which has great political, economic and strategic location. It has been hub of activities of great powers for last 20 years. It has witnessed intervention of three great powers i-e Britain, USSR, and USA. Its significance was further enhanced during cold war when it becomes ally of US policy of containment of USSR and now the post cold war era has witnessed its significance particularly after the events of 9/11. Location: Southern Asia lies between 24 and 36.75 northern latitude and between 61 and 7505 eastern longitude. Towards north apart from the state of Kashmir is china. It shares 400 km long boarder with china. Towards north Tajikistan though no boarder but a narrow strip as Wahkhan strip separate the two. Towards west, Afghanistan border of 2250 km. Towards south, Arabian sea / Indian Ocean. Coastal belt is about 700 km. Pakistan significance is enhanced as it lies near the Persian Gulf where 65% of the world’s oil is produced. Pakistan is located at the junction of great powers. In its neighbor’s one world power Russia and the other emerging power china lies. Any alliance among world powers enhances its significance. This factor has been utilized by Pakistan after 9/11. Security and business are two main US interests in the region while Pakistan is playing a front line role in the war against terrorism. Apart from this US interest in the region to contain the growing china, nuclear Iran, terrorist Afghanistan and to benefit from the market of India. Today the political scenario of the region is tinged with preemption policy and US invasion of Iraq and Afghanistan. Iran’s nuclear program, India’s geopolitical muscles (new strategic deal with US) to gain hegemony and to counter the rise of china. Which has earned all the qualities to change unipolar world into bipolar world? In all these issues, Pakistan is directly or indirectly involved especially after al-Qeada operations. The American think tank has repeatedly accepted that war against terrorism could never be won without the help of Pakistan. Pakistan has rigorously fought and an ongoing operation in Waziristan is also targeting the suspected Taliban in the bordering area. Central Asia is the center stage of new Great games. Western quest for resources- oil and energy resources in the central Asia. After USSR decline, new quest started which is as manifested by politics of oil. Pakistan is located very close to the oil rich Middle Eastern countries. The belt started from Iran and extended to Saudi Arabia. Thus, Pakistan can influence shipment of oil. Iran is struggling to export its surplus gas and oil to eastern countries, Qatar, Pakistan and Turkmenistan pipeline projects highlight the position. Pakistan has the potential to develop transit economy on account is its strategic location, land locked Afghanistan now at the phase of reconstruction finds its ways through Pakistan. China with its fastest economy growth rate of 9% us developing southern provinces because its own part is 4500 km away from Sinkiang but Gwadar is 2500 km away. Moreover, Pakistan offers central Asian regions the shortest route of 2600 km as compared to Iran 4500 km or turkey 5000 km. Gwadar port with its deep waters attracts the trade ships of China, CAR and south east Asian countries., also the coastal belt of Balochistan can provide outlet to china’s western provinces to have access to middles eastern markets with the development of coastal highways and motorways. If we look at the map of Muslim countries, Pakistan occupies a central location. Towards west of Iran, china extends to North Africa. Thus it can actively participate in the activities of Muslim world-economic development, transport of resources and above all combat terrorism. In the region Pakistan is the only Muslim country having nuclear capability which has great influence on the political, socio-economic activities in the region and the maintenance of status quo in the region. Pakistan is the only direct and shortest link between China and the Middle East. Imagine the impact of China on the Middle East, if this link is fully functional. Gwadar Port located in proximity of Arabian Gulf and Central Asian Republics provide it unique opportunity to serve both. Pakistan needs to capitalize on them through better diplomatic ties with Arab states and CARs. It is therefore anticipated that oil reserves and other resources of CARs would gradually become the focus of world attention in coming years. However, in case of “exports to and from CARs” a peaceful and stable Afghanistan is must. The port will also help in promoting trade with Gulf States possessing 63% of world’s oil reserves and will prove instrumental in promoting trans-shipment essentially of containerized cargo besides unlocking the development potential for hinterland. The most important factor that makes Gwadar Port strategically unique is the location with respect to other major ports in the region, which are all located on the other side ofthe sea. Gwadar port being towards north can easily provide services and facilities to CARs, Afghanistan and China. India has a shared interests with the U.S. and NATO in the subjection of Pakistan. Pakistan would cease to be a client state of the U.S. or a manageable state, because of a likely revolution that would occur in the scenario of a broader war in the Middle East against Iran or a far larger Eurasian war involving China and Russia. Nuclear weapons in the hands of such a revolutionary government in Islamabad would be a threat to Indian national security, NATO operations in Afghanistan, and Israel. It is in the shared interests of the U.S., NATO, Israel, and India to neutralize such a strategic and tactical threat from emerging in Pakistan. This is why NATO has underpinned the objective of balkanizing Pakistan and why the U.S. has talked about taking over Pakistani nuclear facilities via the U.S. military. The subjection of Pakistan is also territorially and militarily to the advantage of New Delhi, because it would eliminate a rival and allow India to gain territory that in the view of many Indians was lost with the partition of India in 1947. Pakistan is a junction of south Asia, west Asia and central Asia; a way from resource efficient countries to resource deficient countries. The world is facing energy crises and terrorism. Pakistan is a route for transportation and a front line state against terrorism. Moreover Pakistan has been traditionally ally of emerging economic giant; china. So in the vague of any change in world politics, Pakistan’s geo-strategic significance would further be enhanced. Eurasia is the largest continent where lay treasures of the world. For effective control of Eurasia, he had recommended establishment of western front in Europe and southern front in Asia complementing each other. He was categorical in his assessment that whosoever controlled Eurasia dominated the world. Russia under drunkard Boris Yeltsin remained economically dependent upon USA and Western Europe to survive. Yeltsin’s lackadaisical approach allowed NATO and CIA to extend their outreach into Eastern Europe and re-integrate it into Western Europe. In order to keep resurgent Russia under control, Bush administration embarked upon a highly expensive and controversial Missile Defence Shield (MDS) program under the plea of safeguarding USA from rogue States like North Korea and Iran. Poland and Czech Republic were persuaded to deploy components of the MDS. Putin expressed his concerns asserting that the MDS was Russia focused and threatened to counter the threat. It strained US-Russia relations. After the CIA inspired rose revolution in Georgia which brought down President Eduard Shevardnadze and brought in pro-western President Mikhail Saakashvilli to power in 2004, the first serious Russian encounter with the US took place in Georgia in August 2008 when Russian troops invaded Georgia on August 8, 2008 and by 10th occupied several Georgian cities and bulk of breakaway South Ossetia as well as Abkhazia. Since then, South Ossetia and Abkhazia are firmly in control of Moscow. Ten cities of Eastern Ukraine are heavily populated by Russian speaking and pro-Russia people. Unrest is going on in several cities and militants urged Moscow to send in Russian troops. Although NATO showed restraint by desisting from moving towards Ukraine’s western border, situation is still tense. While Putin is using gas as a weapon to tighten up Ukraine, EU which is itself heavily dependent upon Russian oil and gas, at the behest of USA has imposed sanctions and threatened to apply further sanctions to force Russia to lay its hands off Ukraine. The US accused Russia for attacking Ukraine on trumped-up pretext and has hurled a warning, giving rise to fears that another Cold War is in the offing. When these incapacitating acts failed to bring down Saddam, the US under George W Bush led neo-cons and Jews chalked out a grand plan to change the boundaries of the Middle East, replace radical rulers with compliant and secular rulers, harness oil resources and make Israel the super power of Middle East. Making it an excuse, the US ordered NATO to strike Syrian defence infrastructure with cruise missiles. However, at the 11th hour, Obama took a u turn in the wake of Putin’s mediation, offering to dismantle Syrian chemical stockpiles. The US backtracking tensed US-Saudi relations. While the western threat receded, Syria got engulfed in a new crisis in which the Islamic militias are fighting among each other as well as Assad forces, much to the delight of Israel. During the Cold War, USSR and China, the two largest Communist States fell apart in 1960 owing to political, cultural and ideological differences. Sino-US détente in 1972 further distanced USSR from China. Gorbachev mended fences with China in 1989 and today the two neighbors have become close allies. China has emerged as the chief rival of USA with all the trappings of future super power. Among the major reasons of USA’s decline are its dual standards and discriminatory policy with regard to Palestinian and Kashmir issues and its subservience to Israel, aggressive policies of pre-emption and unilateralism, anti-Islam/Muslim policy, its grandiose plans to redraw the boundaries of the Middle East and to take control of oil resources, lust for untapped mineral resources of Central Asia, over indulgence in highly expensive war on terror and in covert wars to neo-colonize the Muslim world. Putin is cleverly playing upon the sensitivities of European countries to draw a wedge between Europe and USA. China has reduced American influence in Africa to insignificance and is raring to become an economic superpower by 2025. Saudi Arabia and other Gulf States crave for US friendship no more. New power centres have emerged and new alignments are shaping up. The invincible NATO is breaking up after its humiliation in Iraq and particularly in Afghanistan. Despite using excessive force, Islam couldn’t be undermined. Rather, it has gained ground and biggest conversion rate to Islam is in USA. Growing isolation of the US in the world has blurred ‘American Century’ dream. The US can recover ground if the leadership changes its posture from arrogance to affability, restrain Pentagon from adventurism, CIA from covert operations and media from propaganda war, gets rid of perverse influence of Israel, India and UK, decentralize power concentrated in the hands of 1% American elites, formulate even-handed global policies to make the world peaceful and last but not least, mend fences with the Muslim world. Brig.Raja is a Defence Analyst on International Defence Related Issues and Distinguished Member of Pakistan Think Tank.